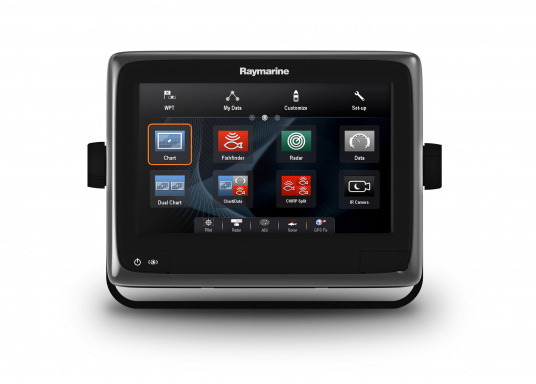 Raymarine's a98 WiFi multifunction display offers the speed and simplicity of LightHouse II in a fast and fluid touch screen experience. 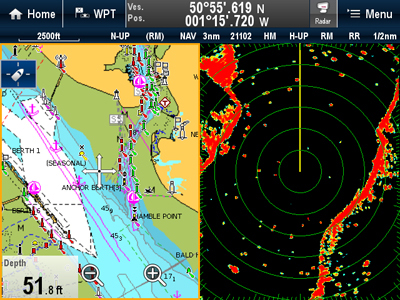 With extensive networking options, it will put you in control of charts, sonar, radar and more. 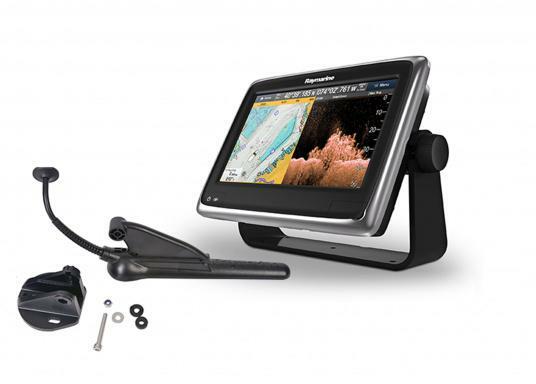 The included CPT-100DVS transom transducer provides photorealistic underwater images. Raymarine's a98 WiFi multifunction display offers the speed and simplicity of LightHouse II in a fast and fluid touch screen experience. 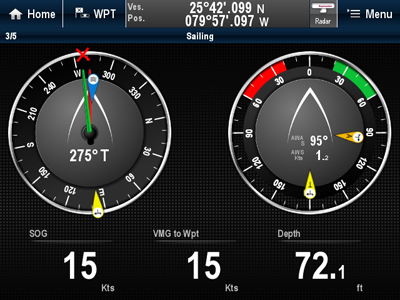 With extensive networking options, it will put you in control of charts, sonar, radar and more. 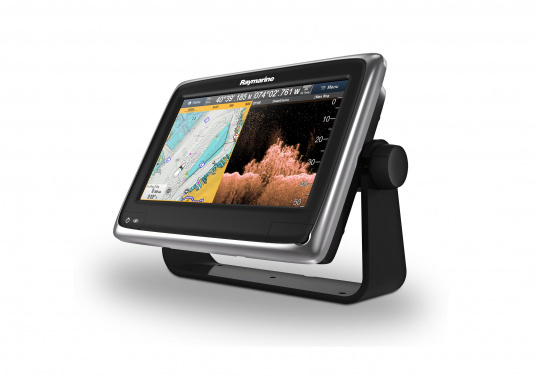 Designed specifically for your needs, the 9 "model a98 WiFi has a redesigned LightHouse interface that gives you easy navigation and quick access to all the important features, making it easy to switch between different navigation pages. 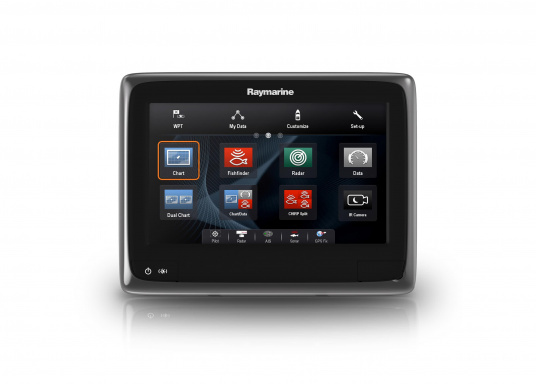 Raymarine also provides software updates at regular intervals. To be able to use the latest features, just download the latest software version.The internal 10 Hz GPS antenna guarantees fast and smooth ship tracking on the map. 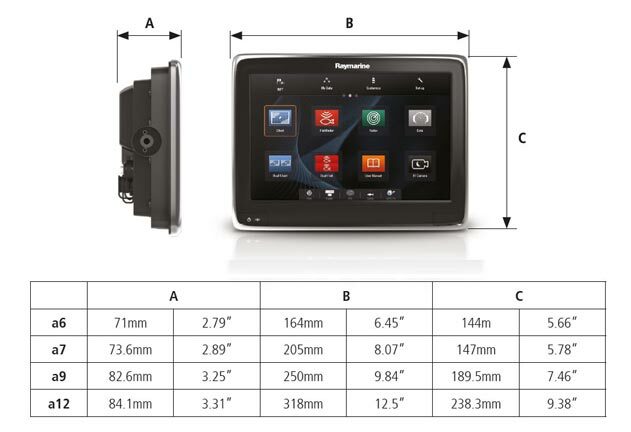 In addition, the a98 supports GNSS (GPS and GLONASS). An external antenna for installation on ships with metal hull below deck is optionally available. The RCU-9 gives you easy access to the most important functions while driving: changing the range scale, switching between apps, and marking waypoints. The wired RMK-9 or RMK-10, on the other hand, provide full control of the LightHouse interface with all functions. If you install them directly next to the multifunction display, a HybridTouch TM control of the multifunction display will be created. 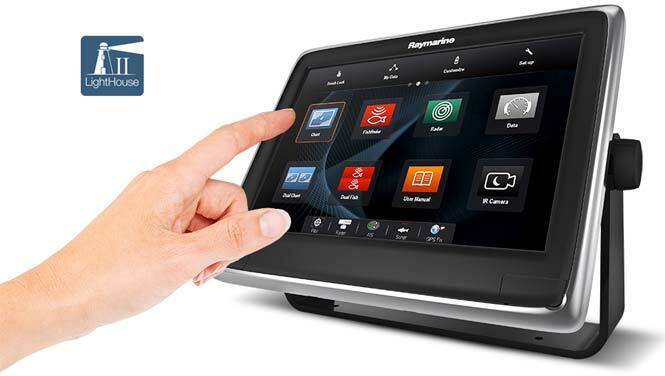 Thanks to the integrated WiFi function, you can access the a98 from anywhere on board. 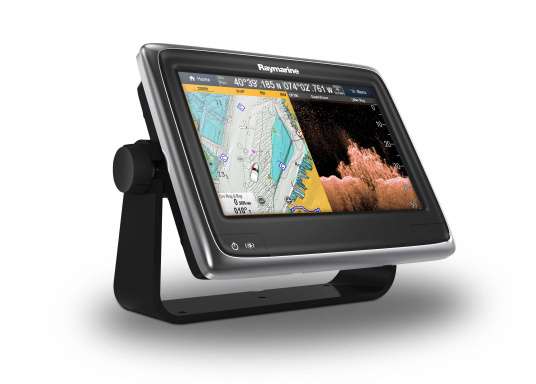 Raymarine Apps let you control or view your multifunction display. Play and control MP3 audio on your smartphone remotely using Bluetooth. 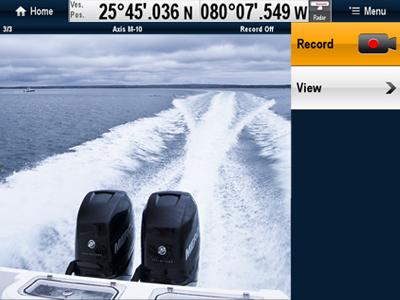 The new Navionics Plotter Sync feature allows you to transfer waypoints and routes between the aSeries and your smartphone. With CHIRP DownVision technology you can see everything that happens under your ship. This technology creates photorealistic underwater images, displaying amazingly detailed images of the soil structure and simultaneously displaying target fish. In order to use the CHIRP technology, the included CPT-100DVS transom transducer must be connected to the integrated DownVision module. 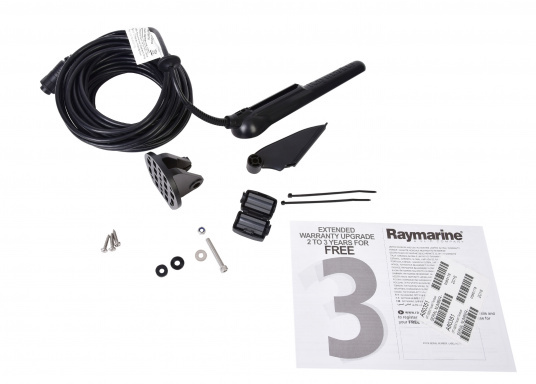 By connecting a Raymarine Digital, HD or Super HD Color Radar Antenna. The clear analogue and digital instrument display turns your a98 WiFi into a meaningful information display. Connection of an IP camera (ONVIF compatibility required) possible, in addition, analogue and thermal imaging videos are supported. 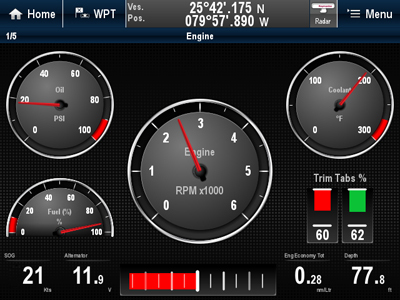 Motor data is graphically displayed in conjunction with NMEA2000 compatible motors. 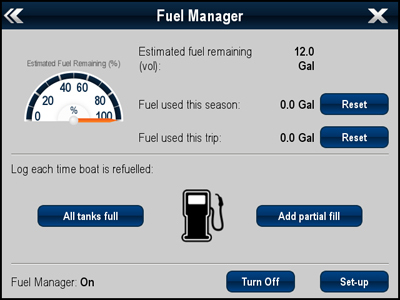 Display of fuel consumption and calculation of when to fuel up. The fuel range is displayed as a ring in the map. 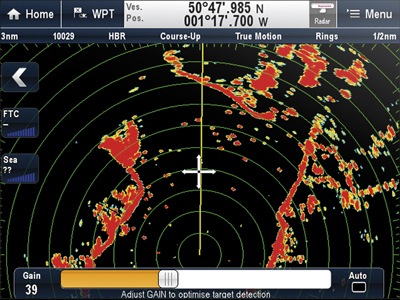 Display of different displays at the same time, eg map and radar in split view. 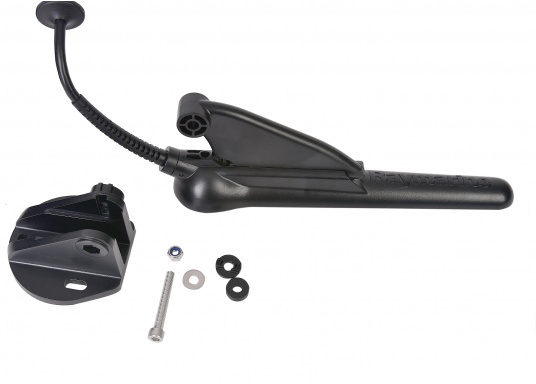 Delivery Front frame, gasket, cover, mounting bracket, instructions, SeatalkNG to DeviceNet adapter cable, 4x bolts, nut, circlips and washers for mounting, 1 m SeatalkNG trace cable, 2 m Raynet cable, power and data cables. The dual-channel CHIRP transducer has a conical beam angle for displaying underwater objects. The ultra-wide, fan-shaped cone ensures the creation of photorealistic DownVision sonar images. The transducer also provides depth and temperature data. With 10 m connection cable. Ich möchte den Geber am Heck eines 10 m Bootes installieren. Bietet der Geber irgendwie eine Aussagemöglichkeit über die Wassertiefe "vor" ihm oder nur direkt unter dem Geber? Der CPT-100 Geber für den a98 schaut nur nach unten, nicht jedoch nach vorne. Ich habe einen AP von Raymarine "Evolution .."im letzten Jahr gekauft und installiert. Läuft sehr gut, nur der Stromverbrauch in unruhigem Wasser verlangt nach Optimierungen, sprich neuen Kühlschrank und stärkerem Generator . Nun wollte ich den AP mit dem bestehenden Plotter von Garmin 720S koppeln. Garmin sagt es geht, Ray sagt es könnte gehen, ist aber vielleicht nicht zuverlässig. Nun habe ich einen neuen Plotter von Ray und baue den alten auf die Fly. Der Kurs kommt als vom Ray und der Garmin dient zum freien Fahren und zur Kontrolle. Ich denke es ist gut AP + Plotter in einer stabilen Konfiguration zu betreiben. Leider kann ich auch nicht mehr dazu beitragen. 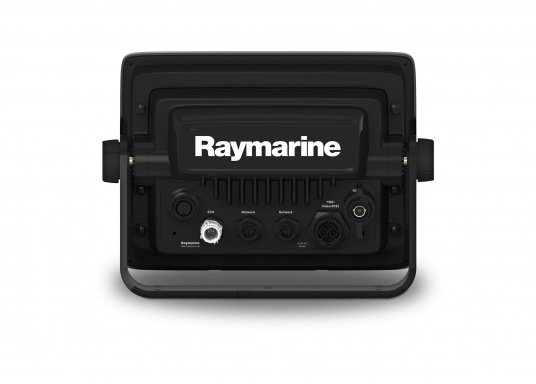 Die Raymarine Axiom Pro Geräte verfügen noch über die alte NMEA0183 Schnittstelle. Top Artikel zum spitzen Preis! Kann ich erst in der nächsten Saison beurteilen.